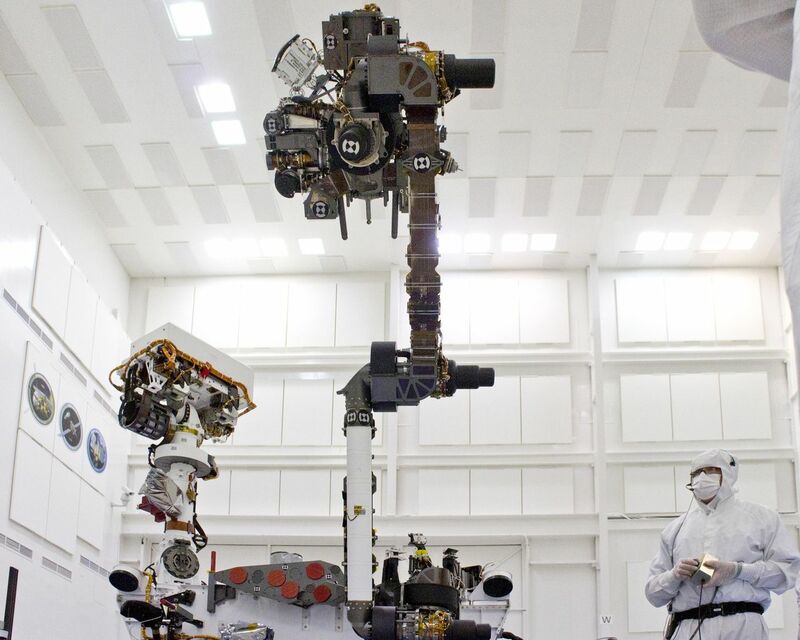 This photograph of the NASA Mars Science Laboratory rover, Curiosity, was taken during testing on June 3, 2011 at NASA's Jet Propulsion Laboratory. The turret at the end of Curiosity's robotic arm holds five devices. In this view, the drill is at the six o'clock position. The turret at the end of Curiosity's robotic arm holds five devices. In this view, the drill is at the six o'clock position. The next device clockwise is the Collection and Handling for In-situ Martian Rock Analysis device, or CHIMRA. It includes a soil scoop and a set of chambers and labyrinths for sieving, sorting and portioning samples of rock powder or soil for delivery to analytical instruments. At the 10 o'clock position is the Alpha Particle X-ray Spectrometer. Behind the forearm are the Mars Hand Lens Imager and the Dust Removal Tool. Preparations are on track for shipping Curiosity to NASA's Kennedy Space Center in Florida in June and for launch during the period Nov. 25 to Dec. 18, 2011. 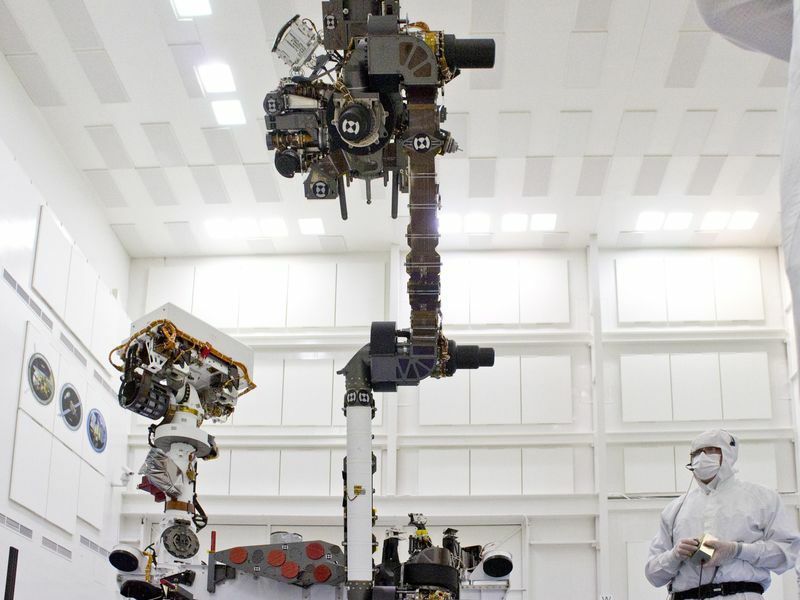 JPL, a division of the California Institute of Technology in Pasadena, manages the Mars Science Laboratory mission for the NASA Science Mission Directorate, Washington. 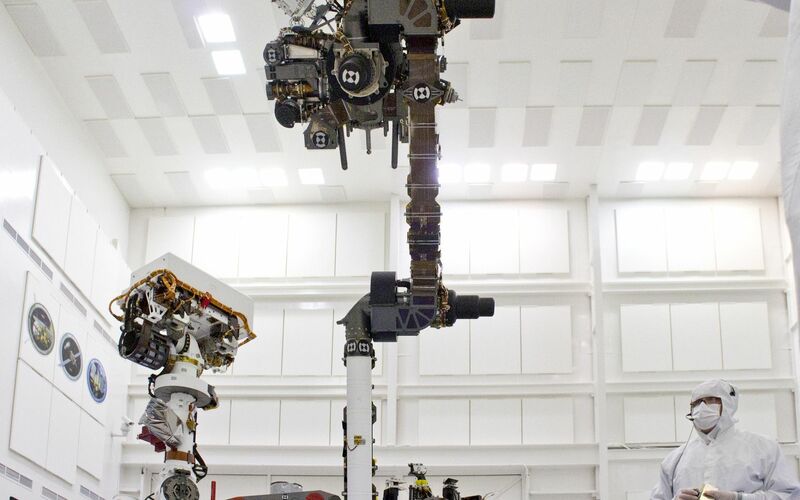 This mission will land Curiosity on Mars in August 2012. 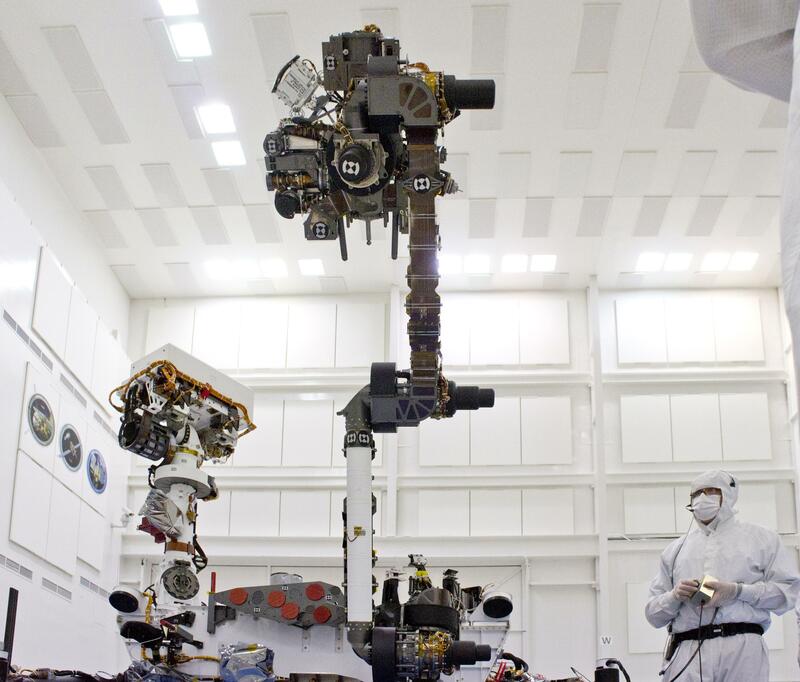 Researchers will use the tools on the rover to study whether the landing region has had environmental conditions favorable for supporting microbial life and favorable for preserving clues about whether life existed.